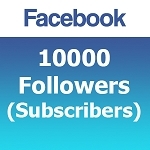 Facebook Follower (Subscriber) services are available for all Personal Facebook Accounts. 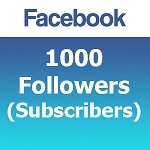 Please note that Facebook has recently changed the name of this service from Subscribers to Followers. So on some accounts it may still appear as subscribers. Find more information about our service at the bottom of this page. Buy Facebook Followers (Subscribers) Cheap or Purchase Facebook Followers (Subscribers) using the options above. Being the most popular social media network, Facebook is probably where you want to start marketing or promoting your products and services. And if you would like to do that from your personal Facebook account, the new Facebook Follow (Subscribe) option is just for you. You will not be bound by the 5,000 friends limit on Facebook, and you can get as many followers (subscribers) as you want to your personal account. 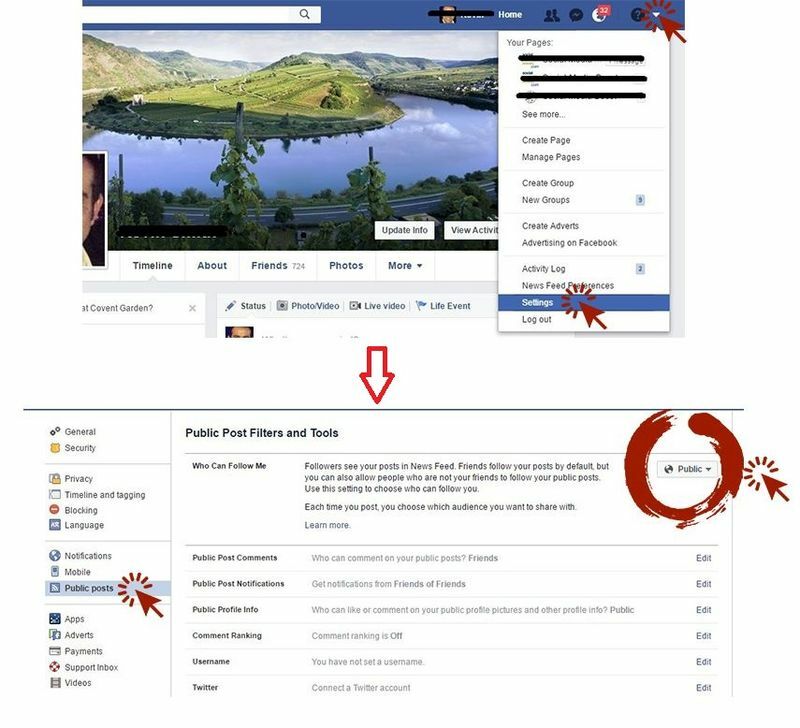 People following (subscribing) to your account will receive all your posts, status updates in their newsfeed, just as if they were your friends on Facebook. This new option, will remove all the limits on your account, and you can reach as many people as you can. This works just like the other social networks. In order to use our services, the "followers" (subscription) option should be enabled on your personal account, as this is not enabled by default. 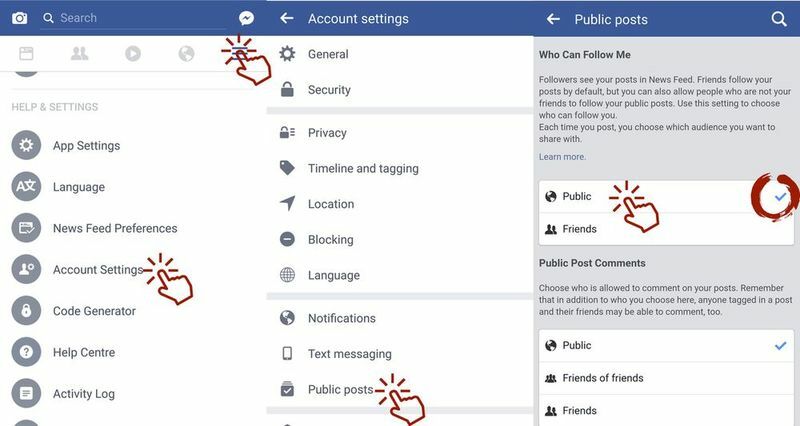 You would need to go to your "account settings" and then choose the "Public posts" option from the left navigation menu. And you would have to choose the "Public" option under the "Who can follow me" section. Once you have activated this option you should now see the follow (subscribe) option on your timeline, and you are ready to get as many followers (subscribers) as possible to increase your reach. Also note that a box on your timeline will now show the amount of followers (subscribers) you have. More Followers (Subscribers) will drive even more Followers (Subscribers) to your account and after a certain amount of Followers (Subscribers) you will notice a continuous increase in your follower (subscriber) base, because Facebook's Follower (Subscriber) suggestion system will prioritize accounts that have 10,000 or more Followers (Subscribers), meaning once you get to this number, Facebook will start showing your account randomly to other Facebook users. 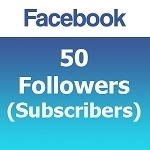 And this will increase the amount users following (subscribing) your account automatically. 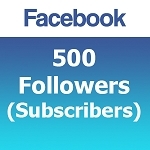 Please note that we are also able to add Followers (Subscribers) using the following Facebook social plugins located on websites or blogs.